Do you know if your site is ADA compliant? Yep, I’m still doing HTTPS conversions all this past week, and still getting in new requests daily. The new Chrome 62 version is out, but it has not fully implemented the big, fat NON SECURE warning in its latest browser release yet, so we still have some breathing room until this hits everyone. See my BlogAid Today video for more on that delay. Lots of folks decided to use the free HTTPS switch by their hosts or a plugin. But now they are left wondering if they got all of the after stuff done correctly. So I opened up a new service to help them check all that and the requests started pouring in. We do it in a live session and you don’t have to share any logins with me. I did one yesterday and the client had used the Really Simple SSL plugin. She got all of her Google connections and such updated correctly. But the site stuff was another story. First, she was losing her secure padlock as she scrolled her blog posts due to HTTP ads coming. Right there on the screen she got to see all the critical HTTPS elements that were missing. She even had the HSTS header, but it was missing two critical headers that knocked her out of submitting her site to the Chrome safe site preload list. That’s the header that Google requires these days. And she had a big fat D score on her certificate. It should be an A. So she opted to undo the trickery and get a real HTTPS conversion done. Folks, there’s still time, but it’s running out. Chrome 62 is already here. It’s just a matter of time before the browser is updated for everyone and they make that non-secure flag a default. I’m guessing we have another month. So don’t wait to get your After HTTPS stuff checked, or switch to a full conversion. I’ve just about completed my comparison post for you on the Comment Reply Notification plugin tests. But, I’m not satisfied with one of the tests. It was a plugin recommended by one of my webmasters that turned out to be a bit of dud during the tests. It has a ton of settings and maybe I didn’t have all of those configured well. So, I’ve called on my webmaster buddy to set it up the way she uses it and we’ll give it another go. Look for that results post in the next week or so. One of my site audit clients was using her email address as her username. WordPress has always leaked the username and it’s fairly easy for bots to find. So, you definitely don’t want that to be an email address! Most of us are familiar with creating a new WordPress User, and then deleting the original one and attributing all content to it. But you also need to be careful that the name appearing on your previous comment replies remains the same. It all hinges on whether you used a nickname or not as your display name. If you didn’t, then the author of the comment will display as your username. If you did, then it displays as the nickname. So, be sure to check those settings in the original User if you ever want to create a new User. The best time to hook up CloudFlare is when you first launch a site. That way the IP address of the host is always hidden from bots. The second best time is right after you migrate to a new host to hide that brand new IP. But, if you’re like me, you probably hooked up CloudFlare after you had already been at your host for a while. That means that bots probably already have your host IP address and they just continue to hit your site because they can run end around CloudFlare. You see, CloudFlare only controls the traffic coming through your domain. So, I’ve been working with CloudFlare support to see how we can put a stop to bots hitting directly on the IP and bypassing CloudFlare. This is especially important if you’re on the paid version and relying on the WAF (Web Application Firewall). You want to be able to whitelist the IPs of the apps and services that need to access your site in CloudFlare so it can protect you. I’ll keep you posted on the solution we find. I’m stoked about finally getting to those WP Rocket tests I’ve had on my to do list for nearly a year!!! I’ll be testing on 3 different server types, including Litespeed, Apache, and Apache with nginx, which is what SiteGround (aff link) uses. The other two are what A2 Hosting (aff link) uses. I’ll start with the A2 tests because SiteGround is actively working with WP Rocket right now on tweaking their settings to play well with the server side caching they have. FYI, WP Fastest Cache does not play well with SG Optimizer server side caching. 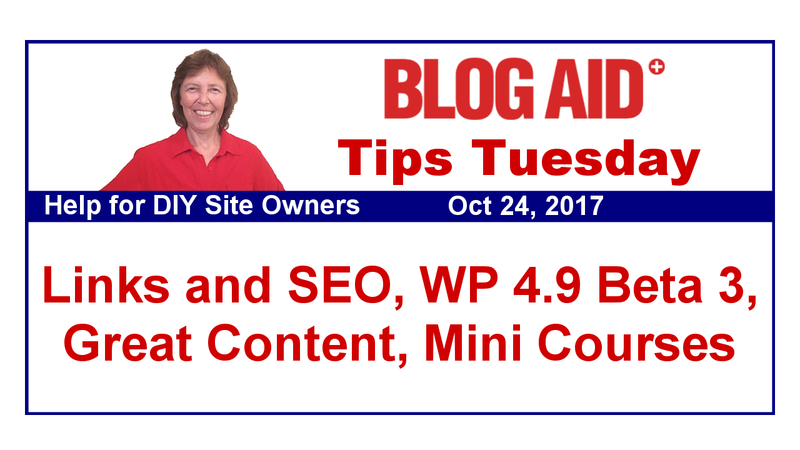 You have to use one or the other and I found WP Fastest Cache to be faster by itself. So, there’s that. I’ll be testing it both ways with WP Rocket too. Webmasters look for new WP Rocket tutorials in Level 4 in the next month or so. I did a livestream into our Webmaster Level 6 Facebook group last week, catching them up on all that’s coming down the pike with website changes they need to start preparing for. So, if you’re in our group, but not very active with it, be sure to drop in and see that post and get back to engaging with us there. You’re missing out on all kinds of helpful tips from other webmasters, not just me. Designers and developers, the webmaster training pays for itself, big time. I doubled my quarterly income with just the HTTPS conversion service. So did a lot of the other folks in the training. What I discussed in that livestream with them last week will be the next big in-demand services for 2018. You really can’t afford to be out of the loop on this stuff, else other folks who know it are going to get the business. As y’all know, I’ve been revamping the DIY SEO course and have it closed to public purchase at this time. I’m reworking the SEO workshop for January too. Plus, I’m putting on paper the outline of a new Boot Camp series of challenges, workshops, and courses that will start around the end of November and run through the spring. The Boot Camp will get our sites in good shape for all the major changes coming in 2018. I’ll have that outline completed by the end of this month. BlogAid News subscribers will be the first to hear about them as they launch. So make sure you’re on that list. The next WP version of 4.9 is now in Beta 3. It’s still about 3 weeks out from public release, which is slated for Nov 14. They’re still tweaking it and doing bug fixes as folks test. I’ve already started digging into all the widget options, and you’re really going to like them. See 5 Ways to Create an Image Widget for more. One of the other changes they made was a callout on the Dashboard to install and activate the Gutenberg plugin. The new Gutenberg text editor is not ready for prime time. I hate that they did this, as I know many unsuspecting site owners will install it. But, this is WordPress’s way of mass testing it, I guess. Bad call WP, bad call. Some big sites have killed comments directly on their sites and moved those conversations to social media. Google says that’s a bad idea. In this post on SEO Roundtable, they note Google’s Gary Illyes’ remarks recently at the State of Search conference about it. He said that comments on the site count toward your content ranking factors. He also states that your content is likely to be shared more from the folks who leave comments on your site too. I think that’s a bunch of hooey, especially for us little bloggers. Most of our peeps comment on our social media posts, not on our site. And they share from the same platform where they first saw the post, not directly from our site. Now, I know some of you get tons of comments on your site, but I don’t think that is the norm for most of my clients. Leave a comment here, (see what I did there?) or anywhere you see this post online and let us know what’s normal for your comments and shares. FYI, the SEO news site this post is on has no comments. They ask folks to comment on Twitter. On another note about comments, all those Gravatars are killing your site speed. I’ll have more for you on that in my comment reply notification post. I know most of us think only of our content when we think about links on our site. But the fact is, you have links all over your the post that is being viewed. Those extra links are in your header, sidebar, and footer areas. How do those impact your SEO? That’s the question Rand Fishkin answers in his most recent Whiteboard Friday. Definitely worth reading this post. You could spend money and time learning to write great titles for your blog posts and all of it would be worth it. A couple of weeks ago, Rand Fishkin did a Whiteboard Friday on finding the perfect balance with writing headlines for SEO, social media, and site visitors. That is a real trick, and not always easy to do. For search, you want to use the keyword phrases that help folks know they’ve located the right post for their needs. On social media, you want to create a bit of mystery to entice folks to click for more. On your site, you have space limitations and want to get right to the point. I think Rand does a pretty good job of giving tips to help you find the balance. So see his video and post to help you find your best balance with it. Has Facebook Suddenly Ditched Authorship? Facebook Authorship – is it something you even knew existed? See, that’s the problem, and likely why they are dropping it. Not enough folks used it. Guess I’ll have to update my DIY SEO course to tell folks not to bother with that tutorial. No need to take it out if you have it, but no need to put it in now if you didn’t already. Thanks to Mike Allton of The Social Media Hat for the heads up about it in the first place and this most recent change. The whole promise of the HTTP/2 protocol is that it will significantly speed up the web. That’s because it delivers requests in parallel, not serial fashion. But your site has to be HTTPS to use HTTP/2. Now that most of our sites are converted, does this also mean that Google will start crawling it faster over HTTP/2 by combining requests for titles, images, and content? The folks over at Moz have been running experiments to see, and the answer is no. Googlebots still make requests over the HTTP/1 protocol. Because Googlebots have a crawl budget for each site. And we, as site owners, want to speed up indexing of our site while reducing the number of bot hits we take, including those from Google, which are massive. Maybe someday Googlebots will get on the ball with this. In the meantime we’ll enjoy the little bump up in speed from HTTPS and HTTP/2. UX, User Experience, is a rising SEO ranking factor, especially for mobile. Right behind it is ADA compliance. And lawyers are going after sites that don’t meet those standards. Check out this post on Entrepreneur.com for more on ADA compliance. Definitely something you need to start thinking about for all new sites, plus helping to update existing sites. Site owners, both UX and ADA compliance are something you need to think about with your next theme revamp. And be sure to hire a designer that knows about it. Many Genesis themes have been updated to comply. But if you’re running an old theme, you may need to have it updated, or think about starting with a new base. This is definitely something I’m looking into for BlogAid early next year. Write epic content – that’s what we’re told to do to get more eyeballs on our blog posts. Ever wonder what makes content stellar, or epic, or high quality? Turns out that it’s just 3 things. Mark Traphagen of Stone Temple Consulting wrote an epic post on The Three Marks of Great Content that I shared a couple of Tips Tuesday’s ago. It was a 4,500 word post, so you may have not had time to read it. In their recent Here’s Why video, Mark and Eric boil it all down for you in just a few minutes, and make it a lot of fun to learn too. So, go have a quick watch and get busy writing your quality content. Find these tips helpful? Share these tips with your peeps!!!! I have Litespeed on my testing list. Likely won’t do it in this round, just want to focus on WP Rocket by itself. But have some ultimate speed tests coming up this winter.